What exactly is “Swiss precision?” It is a phrase you hear thrown around about dozens of products and yet it is almost solely derived from the precise time keeping of Swiss watches. 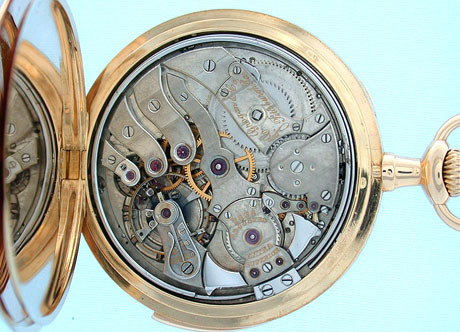 This is because Switzerland is the standard in watch manufacturing and in many ways used that reputation to build a consensus that Swiss engineers were some of the best and most innovative in the world. Even a cursory knowledge of the history of brand name watches will reveal this perception to be one hundred percent valid. The Swiss have spent time in the intervening century or so since they became the standard in engineering to take that sense and apply it to everything from pop-songs to automobile manufacturing. They have woven intricate ideas about how things work and the parts of those things collaborate to make some fantastic and practical leaps in the evolution of machinery and more. Brand name watches, of course, still remain the Swiss people’s most note worthy export. This is likely because, ironically, their work in this field remains so timeless and continues to be the standard in the industry. If you are an enthusiastic collector or admirer of watches, it is likely you have a love affair with the Swiss. Precision is generally the first thing one judges when choosing a new watch. A brand with a well established reputation of using great materials and solid engineering is the difference between a great watch and mediocrity. After that it all comes down to design and style. The large faces that are typical of Panerai watches and of many other mainstays of the watch industry were simply not the norm in 1860 when Panerai was founded. With a bigger face models like the Panerai Ferrari are now able to incorporate chronograph dials and many other facets that had not been tried prior to the larger watch faces. These watches have a great balance of classy style and sporty casualness that is rare in the watch world, which is usually focused on one or the other. The watches can easily match up with an elegant three piece suit or a t-shirt and jeans. 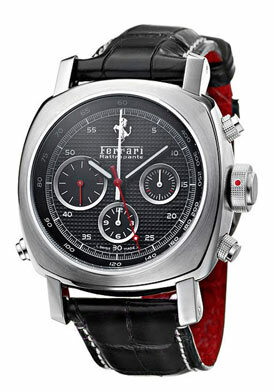 Of course the extra branding boost of being associated with Ferrari makes these watches a favorite of luxury cars as well as luxury watches. The Panerai Ferrari is easily one of the most versatile and sought after watches on the market right now. The whole line manages to appeal across the board to nearly anyone who considers them. If you are looking to buy a special gift for the special woman in your life you could do a million times worse than perusing the wide selection of Cartier watches available. These beautiful watches are great looking and carry with them a built in status that only the name Cartier could command. Any woman with even a cursory knowledge of fashion at large will be thrilled to get their wrist on one of these gorgeous pieces. Cartier as a brand name is among the most preferred by upper echelon folks hoping to make impact with their accessories. 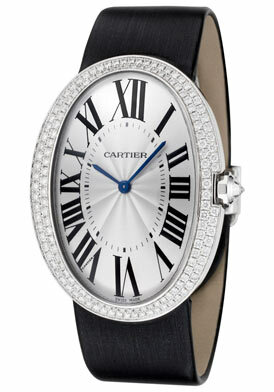 Founded in Paris in 1847, Cartier watches have been a staple of the elite for as long as they have been made. In many ways their stock has only gotten greater as time has marched on for the brand which remains competitive and in some cases dominant in its field. Right now at The Watchery there is a gorgeous Cartier Women’s Baignoire Mechanical watch, with white diamonds and a leather strap that I found particularly fashionable. It ‘s the sort of watch a loved one will wear for decades. Its timeless typeface for its Roman numeral digits really gives the watch a look that is built to last. Concord has had a long standing reputation for quality, craftsmanship and innovation. In 1979 the Concord Delirium was a watershed moment for the company. They had created the world’s flattest analogue watch at a then staggering 1.98 mm thickness. In the coming years their analogue watches would break the 1 mm mark. Their record for the flattest analogue watch in the world remains uncontested to this day. This focus on thinness and engineering that fits into smaller watch faces has lead to designs that can include elegant as well as modern elements in increasingly tiny packages. The Concord Women’s La Scala line is a great set of examples of the sort of exciting design work being done at Concord today. There is an innovative blend of retro curves and chic modern sensibility that forms together to create a stunning and specific design sense on the whole line. These watches are elegant and functional without sacrificing either side of the designer watch coin. Concord has been a trusted innovator and reputed high quality designer for more than a century. 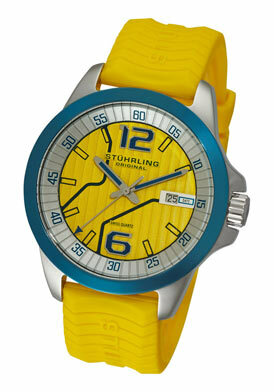 With these designs they continue to be at the forefront of sharp and elegant watch design. The Watchery has a wide selection of Concord watches available at great prices.